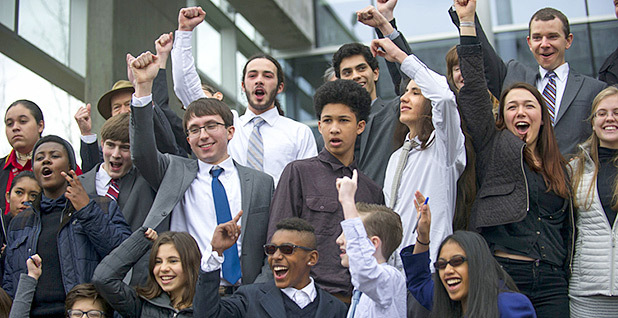 A federal district judge yesterday denied the Trump administration's request to have an appeals court step into a high-profile climate change case brought by youth plaintiffs. Judge Ann Aiken of the U.S. District Court for the District of Oregon accepted a magistrate judge's earlier recommendation that the case should proceed in the district court. Aiken, a Clinton appointee, found that an appeal to the 9th U.S. Circuit Court of Appeals at this point in the legal proceedings is "not warranted." The decision is a blow to the Trump administration, which sought to avoid a district court trial and the related discovery process until the 9th Circuit decides whether the case should go forward. Aided by the group Our Children's Trust, 21 youth plaintiffs and climate scientist James Hansen initially brought the suit against the Obama administration over the government's alleged role in causing and enhancing the danger of climate change. The lawsuit alleged that federal agencies have known for five decades that burning fossil fuels would disrupt the climate system, harming future generations. Last November, Aiken rejected motions by the government and industry groups to dismiss the children's claims (Greenwire, Nov. 11, 2016). The Trump administration, which was named as the plaintiff in the case after the inauguration, filed a motion in March to certify the order, a necessary step toward appealing it in the 9th Circuit. Before trial, the 9th Circuit should be allowed to weigh in on "controversial" issues, the Justice Department argued — specifically the issue of legal standing and whether the children stated viable claims under the Due Process Clause and the public trust doctrine (E&E News PM, March 9). But Magistrate Judge Thomas Coffin last month rejected all of the government's arguments, finding that the youth plaintiffs had brought viable claims and recommending that the case go to trial (E&E News PM, May 1). Aiken's four-page order affirms those recommendations. The order comes as a trio of industry groups that intervened in the case to block it are now seeking to leave the suit. The National Association of Manufacturers, American Petroleum Institute, and American Fuel and Petrochemical Manufacturers last month filed motions to withdraw (Greenwire, May 26). The court has yet to grant the motions. Our Children's Trust, which says the industry involvement has complicated the case, cheered Aiken's decision to keep the case in the district court. "We are on our way to trial," said Julia Olson, executive director of the group and co-lead counsel for the youth plaintiffs. "With industry walking away from the case and the Trump administration's effort at procedural delay firmly rejected, we can focus on the merits of these youths' constitutional claims."